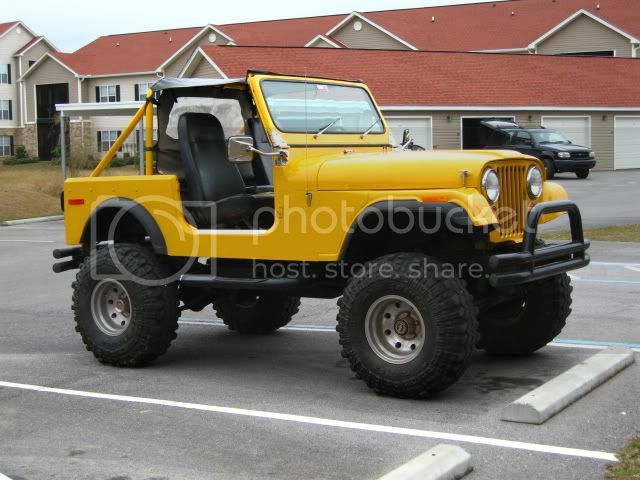 JeepForum.com > Models > Jeep CJ Forum > CJ ROLL CALL!!!!! Lets see them all! CJ ROLL CALL!!!!! Lets see them all! 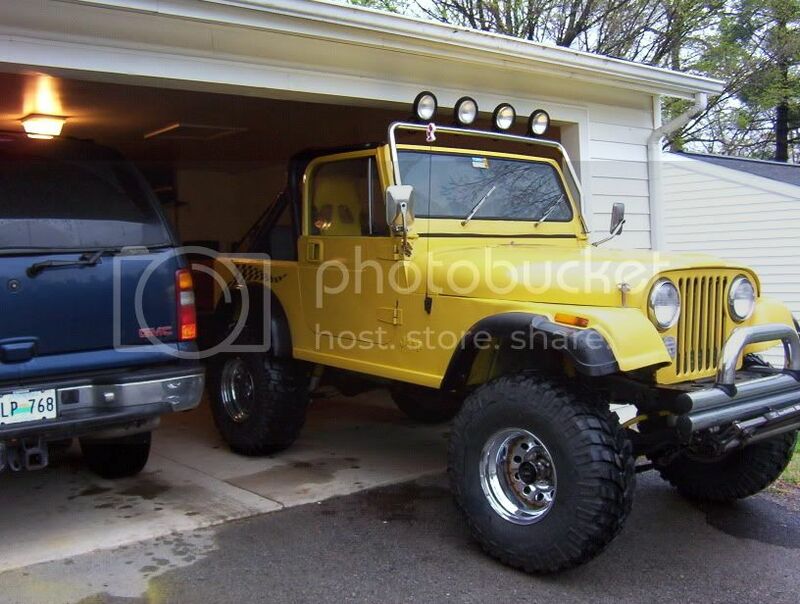 Newbie here...I love seeing others rigs....Its great to see what people do to their CJs and it gives me good ideas about my own. Heres mine....im working on a full cage and some other goodies. HAHA OMG, where'd you get that "Bail" sticker??? I tell the average passenger to read before entering. Ive gotten some strange looks! HA! Accessories: On board Air, Hydro assist steering, Hand throttle. Oh well here's some before and after pics. The first is when I bought it in 2003. 2-1/2" lift and 33's. It now sits at 4" sua and 35's with the help of TJ flares. The leaky 258 and T5 are being switched now to a 360 and T176 combo. I'm probably two or three weeks away from that being done. snowb1konobi, oldsalty, Red76 and 1 others like this. "when you're up to your *** in alligators, it is hard to remember that your original intention is to drain the swamp"
That sure is a purty engine! dkurban, jeepsrb and ksaintj like this. Renegade82, snowb1konobi, torombolo and 5 others like this. John, thats great! You even moved the diff to the correct (I mean passenger) side. It's a shame you have to cover them up with so much stuff.